Environmental Microbiologist specializing in wastewater treatment by profession; amateur photographer interested mostly in nature, macro and micro photography, ships, travel and landscape photography. Several of my images have been published in nature magazines. 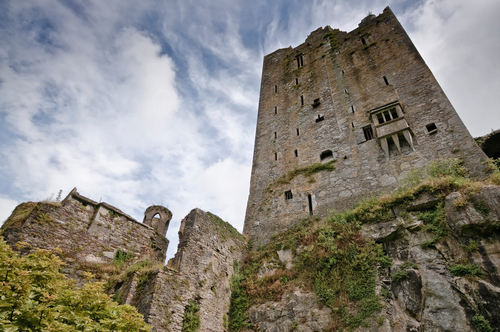 This is the home of the famous Blarney Stone, Blarney Castle in County Cork, Ireland. According to Irish legend, kissing the Blarney Stone gives you the "gift of the gab" (That is, it imparts the ability to speak with eloquence in a charming & persuasive manner). The Blarney Stone forms part of the upper wall of the castle and requires considerable dexterity to kiss as it is must be done on your back, with your head leaning back a couple of feet. This is one of the most popular tourist destinations in Ireland.